It’s still only Tax Day, so as far as baseball goes, we don’t know anything. We’re still early enough in the season that one hot week or one slump can skew any results we see. Beware small sample sizes, as anyone who has watched enough baseball will tell you. Flukes are common this time of year, but this week we’re already starting to tell a bit about who is a pretender and who is actually good. The hot-hitting Seattle Mariners, for instance, appear to be coming back to Earth. 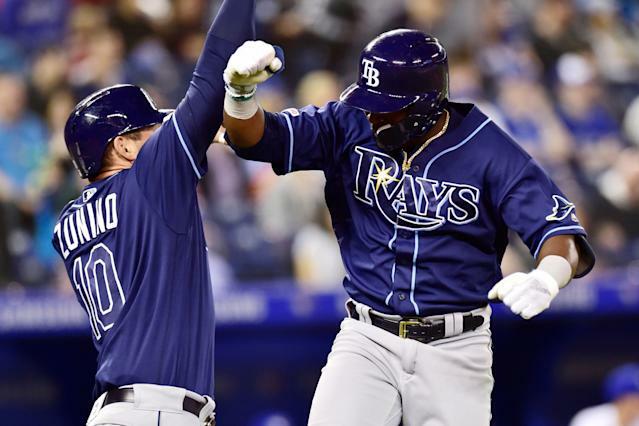 But the Tampa Bay Rays, baseball’s other early-season success story, they’re looking more like the real deal. In this week’s Power Rankings, we pass the title of No. 1 to the Rays, plus see where the up-and-down New York Yankees and Boston Red Sox land, plus we see the Houston Astros climb and a bunch of nine-win NL teams clustered in our top 10. The Rays have the best winning percentage in MLB, the lowest ERA and the highest run differential. 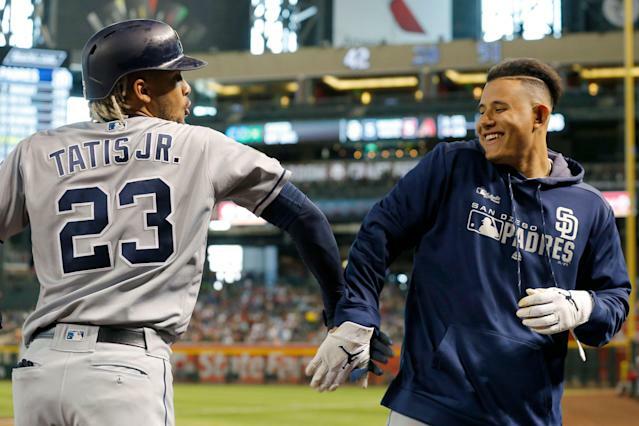 Like some teams that are better than expected this time of year — sorry, Mariners — there’s a good reason to believe the Rays *are* actually this good. They have the best record in MLB since Aug. 1 of last season. The Astros helped bring the Seattle Mariners back to Earth with a weekend sweep. They also brought their win streak to nine in a row, which included a sweep of the Yankees. The Astros started the season losing three of four to the Rays, but maybe that makes more sense now. I really like the Dodgers so far this season. And the Brewers just took two of three from the Dodgers. Their pitching hasn’t been lights out, which explains the -6 run differential, but it’s pretty clear last year wasn’t a fluke. My heart says the Dodgers are a better team than this, but it’s hard to ignore six straight losses to the Cardinals and Brewers. That offense though! Their 102 runs (second in MLB) and 33 homers (third in MLB) prove they’re dangerous. The Cardinals have won six of seven, including four straight over the Dodgers. To be honest, there’s not a lot of room between the Cards and the next three teams. These nine-win NL teams all have a high ceiling. This week, I’m highest on St. Louis, but that could easily change. It was a pretty ho-hum week for the Phillies, who need to get their pitching going in a better direction. Being 22nd in team ERA isn’t going to keep them hanging in the tough NL East. As good as the Mets’ pitching should be, they’re actually behind the Phillies in team ERA. They rank 23rd. All small-sample warnings apply, of course, but who expected it would be their offense that would be keeping the Mets among the top NL teams? The Braves and Mets split a four-game series. While I’m putting them fourth in this group of four good NL teams (mostly because I don’t believe in their pitching in the long term), they should be happy that they tagged Jacob deGrom for three runs and five hits. I was ready to sign up for the bandwagon this week if the Mariners kept things going. The offense is still statistically the best in baseball, but getting swept by the Astros showed me that we still haven’t seen exactly who these Mariners are. The A’s have the second-most homers in the league and the third-most runs. Think of it this way: Take away those two losses in Japan to the Mariners and the A’s would be 10-7. The Padres and Twins lead their respective divisions, which is certainly a surprise, even early in the season. I’m not particularly bullish on either in the long-term, but the early-season success is commendable. After a strong week last week, the Indians got swept by the Royals, which wasn’t great. The Nationals have looked better lately and the Angels swept the Brewers, but also lost Mike Trout to injury. I’m looking at the good and still see these teams as promising. We’ll see which way they go this week. So there’s an AL East team on top of the rankings, but it’s not the Yankees or Red Sox? April baseball is crazy. The storied rivals are moving in different directions right now. The Red Sox may be shaking off their horrible start, but the injuries are piling up for the Yankees, who got swept by Houston and then lost two of three to the White Sox. By record, the Pirates, Tigers and Rangers should be at least a tier higher, but there’s no way I trust these teams more than the Yankees or Red Sox. The early returns are nice, but the Tigers aren’t scoring any runs, the Pirates aren’t doing much better and the Rangers have a 5.32 team ERA. This will all catch up with them. 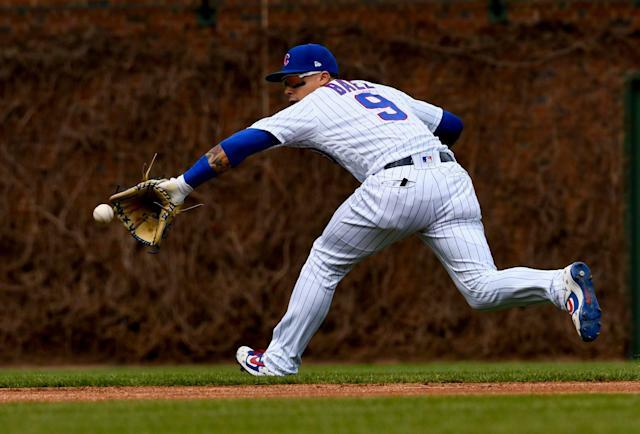 The Rockies remain surprisingly bad, but they’re lucky the Cubs are also bad and getting more of the attention. The D-backs are barely keeping themselves out of our final group. In all cases, these teams need to show us who they really are. The order might change here week to week, but it’s looking like these seven have become what we knew they’d be: the bottom of the league. Kudos to the Reds, Royals and the Giants for padding their win totals this week (the Reds won four in a row and KC swept Cleveland!) but there’s not much to believe in here.